The Knicks have signed SG/SF Wesley Saunders. 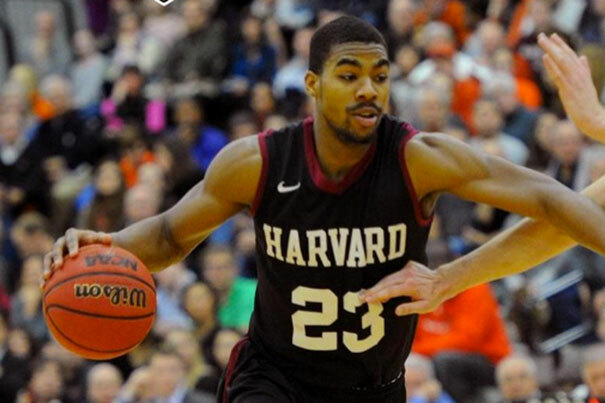 Saunders, 22, graduated from Harvard in May and was not selected in the 2015 NBA Draft. The 6’5 Saunders played for Utah in the summer league. Saunders is one of two Ivy Leaguers under contract— the other is Jeremy Lin. Saunders was the 2014 Ivy League Player of the Year and won the league title in all four of his seasons with the Crimson. Saunders led Harvard to first-round NCAA upsets as a sophomore and a junior, and the Crimson put a huge scare into UNC in this year’s tournament. Saunders averaged 17 points, 6 rebounds, 4 assists and 2 steals as a senior, shooting 45% from the field and 77% from the line. Saunders also saw a huge uptick in both volume and efficiency from beyond the arc, shooting 43% on 2.5 attempts per game. The scouting report on Saunders? He has a tremendous basketball IQ (not surprising) and is a good ball-handler and passer with a good shot. However, he is not an elite athlete, so he will not threaten teams with his quickness. Saunders was given a partially-guaranteed contract, meaning that he will have a chance to earn a roster spot in training camp. Maurice Ndour figured to get an invite to training camp, but instead signed a deal with the Mavericks after a strong Summer League performance with the Knicks. The Knicks still have the $2.8 Million Room Exception to spend on Free Agents. This entry was posted in Articles and tagged KNICKS, KNICKS MEMES, Knicks news, wesley saunders, wesley saunders knicks on July 25, 2015 by Tommy Rothman.